The Korean post office will introduce an insurance claim system that uses blockchain within this year. The Gwangju Regional Public Procurement Service has issued a bidding announcement on March 11, saying that the Postal Service headquarters will introduce computerized billing system using blockchain as a part of information infrastructure construction service. 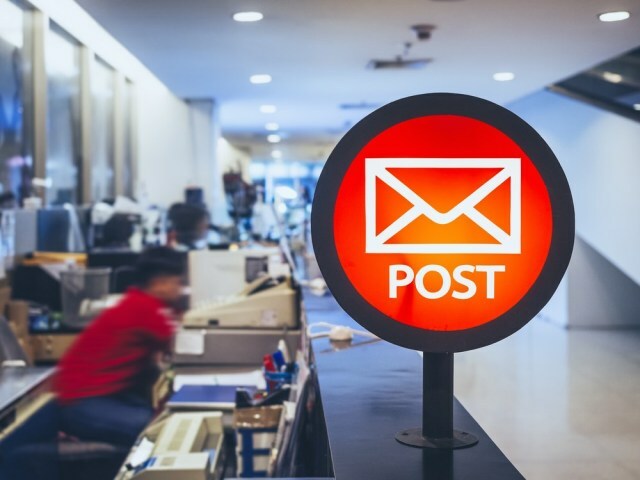 The post office said it was planning to build a blockchain-based insurance claim system for insurance business in early February. It is a system that can claim the medical insurance benefit by using blockchain. The post office also said that it plans to install computer equipment in preparation for system operation and hospital expansion. Previously, the post office also signed a business agreement with Jeonbuk Bank of JB Financial Group, for ‘joint development of the fourth industrial revolution field’, including the development of blockchain technology. At the time, the general manager of the post office, said, "The post office will be the leading organization of the 4th industrial revolution and will cooperate in various fields to find post delivery services that enhance the quality of life of people." 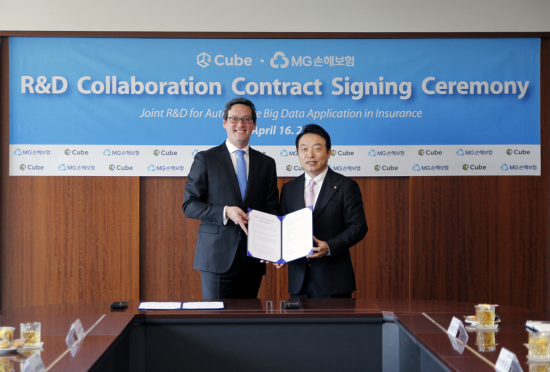 In the meantime, Cube Intelligence signed a business agreement in April 2018 to develop a 'customer-centric insurance product' that combines blockchain technology with MG non-life insurance. Cube will do our best to develop UBI (Usage Based Insurance) insurance using car big data, please stay tuned at Cube Intelligence. 올해 안으로 우체국에서 블록체인을 활용한 보험금 청구 시스템이 도입될 예정입니다. 광주지방조달청은 우정사업본부가 정보 인프라 구축 서비스의 일환으로 블록체인을 활용한 보험금 청구 시스템 전산장비를 도입할 예정이라며 지난 3월 11일 입찰공고를 처음 올렸는데요. 우정사업본부는 지난 2월 초 “보험업무에 블록체인 기반 보험금 청구 시스템 구축을 추진할 예정”이라고 밝힌 이후 사업 준비를 꾸준히 이어온 것으로 알려졌죠. 바로 블록체인을 활용해 실손 의료보험금을 청구할 수 있는 시스템인데요. 우정사업본부는 이번에 준비 중인 시스템 운영과 대상병원 확산에 대비해 전산장비도 도입할 예정이라고 밝혔습니다. 앞서 우정사업본부는 지난해 JB금융그룹 전북은행과 ‘블록체인 기술개발 등 4차산업혁명 분야의 공동 발전을 위한 업무협약’을 체결하기도 했는데요. 당시 우정사업본부 강성주 본부장은 “우정사업본부는 4차 산업혁명의 선도 기관으로, 국민의 삶의 질을 높이는 우정서비스를 발굴하도록 다양한 분야에서 협력해 나가겠다”고 말했습니다. 한국의 정부기업 중 가장 발빠르게 블록체인 관련 사업에 관심을 갖고 앞장서서 시스템 도입을 준비하고 있는 우정사업본부 앞으로의 행보가 기대되는 가운데., 큐브 인텔리전스에서도 지난 2018년 4월 MG손해보험사와 블록체인 기술을 접목한 ‘고객혜택 중심 보험상품’ 개발을 위한 업무협약을 체결했는데요. 자동차 빅데이터를 활용한 UBI(Usage Based Insurance) 보험 개발을 위해 더욱 노력하겠습니다.